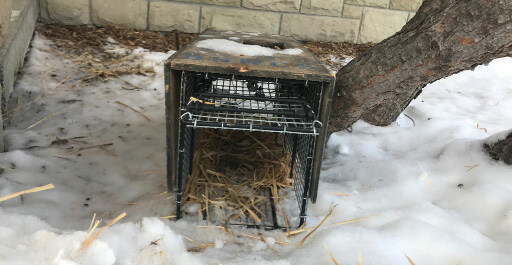 A live trap for rabbits sits next to a building on the Rocky Campus. Over the last several weeks, rabbits were trapped and relocated off of campus by a pest control company. Many students and faculty have noticed a drastic difference in the rabbit population since trapping began. Photo by Cheyenne Lira.